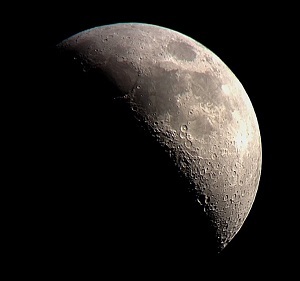 Having a camera in your pocket at all times (iPhone) is a huge benefit for rare atmospheric events like this! I was getting into my car in the morning to go to work and I saw this vertical column of orange-raindbow light to the right of the sun. 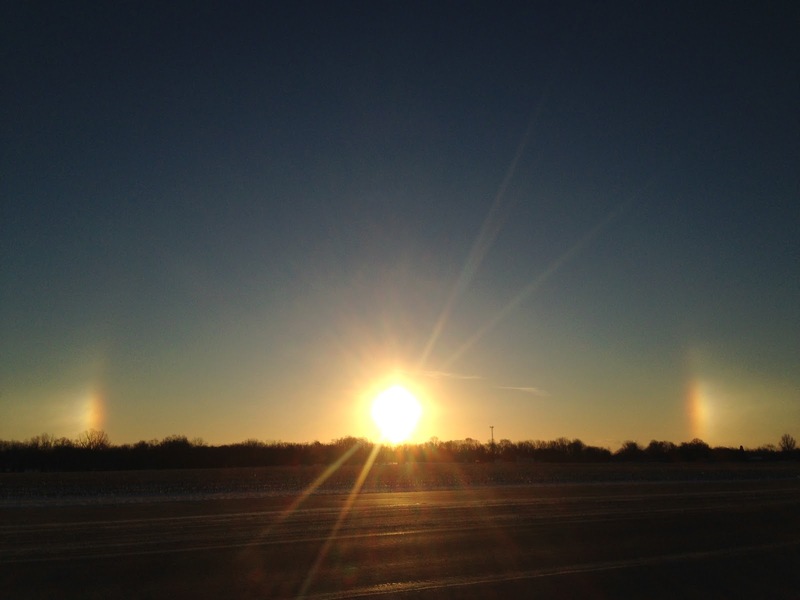 I noticed a second one on the left at the same distance and knew it must be a sun dog (parhelion, or plural parhelia). As I was pulling out of the apartment complex, I tried to get a photo from my car. After driving down the road a bit, I found a good flat place with a view of the horizon and I actually pulled over on a state route, stepped out of my car, and snapped these photos. It was freezing cold but so worth it! The sun dogs or parhelia look like lens flares, but the crazy thing is this is actually what they look like to the naked eye! Two huge columns of orangeish rainbow light at the same height as the sun, with the hint of a circular halo. 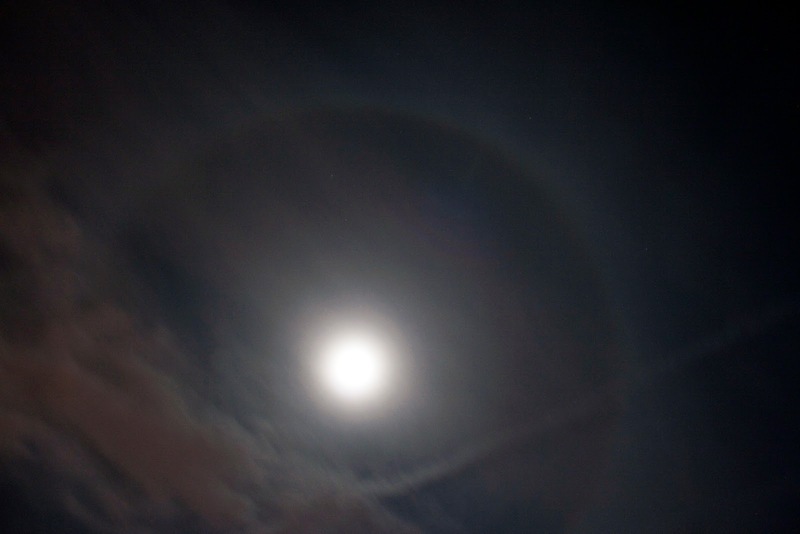 It's my understanding that these form in the same way as a 22° halo around the moon - with hexagonal ice crystals in the atmosphere.